On our early trips to the Magic Kingdom, one of my favorite attractions was the Plaza Swan Boats. These boats would take visitors around the Hub and back into Adventureland for a great view of the Swiss Family Treehouse (the travel path is highlighted in yellow below). The attraction operated from 1973 till 1983 and had a live guide that both piloted the boat and also provided commentary along the way. 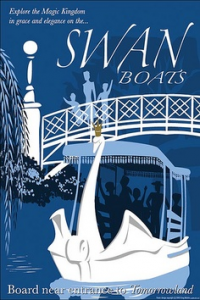 The Swan boats were a D ticket attraction which meant it cost around 75 cents to ride in the 1970’s. But because it was a live guide attraction it was one of the more costly attractions to run, thus why it was removed in the 80’s. 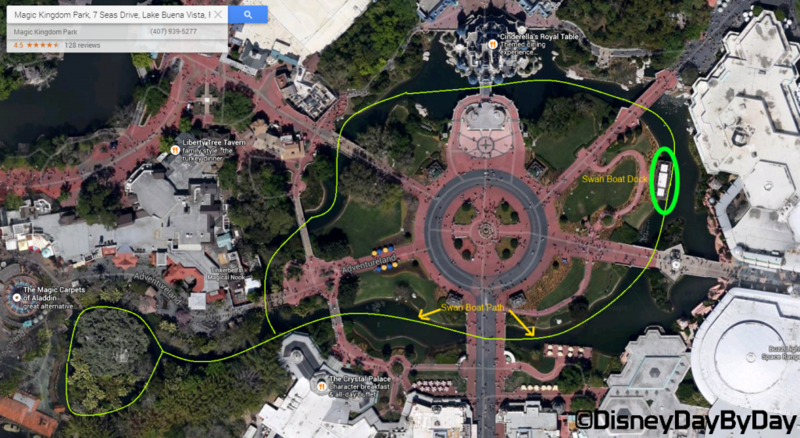 After the Swan attraction was removed, the boat dock (circled in picture above and pictured below) became a quiet place to sit and watch the excitement of the park pass by. It was also used for many of the special events to pass out wristbands. 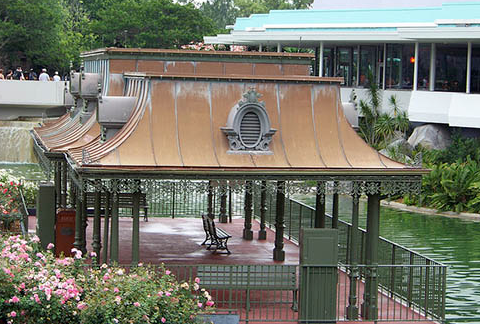 With the Hub undergoing many changes , one of the items that is being removed is this dock that was used for the Swan boats. This was my one last reminder of the long lost attraction and I will surely miss seeing it and all of the magical memories that it holds. 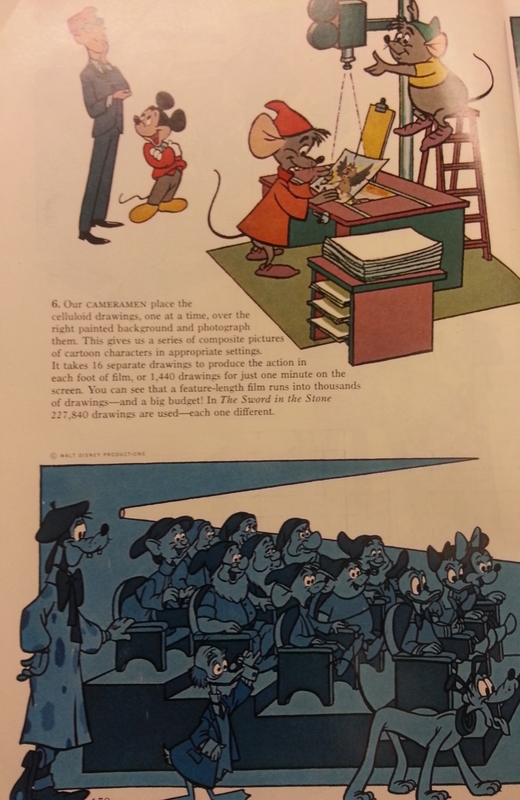 I was recently reading about how much Walt Disney loved the National Geographic Magazine and how much it was used for reference during the creation of all early Disney movies. 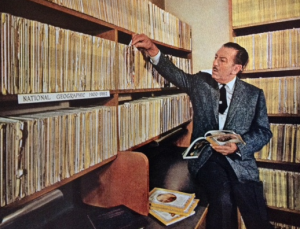 After hearing that Walt was featured in the magazines August 1963 addition I had to hit eBay to purchase it. In the magazine there are three amazing views of Walt Disney’s world. The first of these is the “Walt Disney, Genius of Laughter and Learning” by Melville Bell Grosvenor which takes a look at the legacy of Walt Disney. “Walter Elias Disney was a genius who brought laughter and knowledge to the world in a distinctive American way” sums it up. 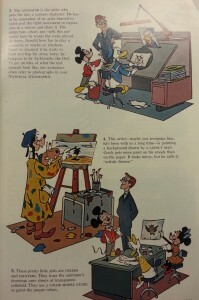 The second article and main article on Walt is “The Magic Worlds of Walt Disney” by Robert De Roos. 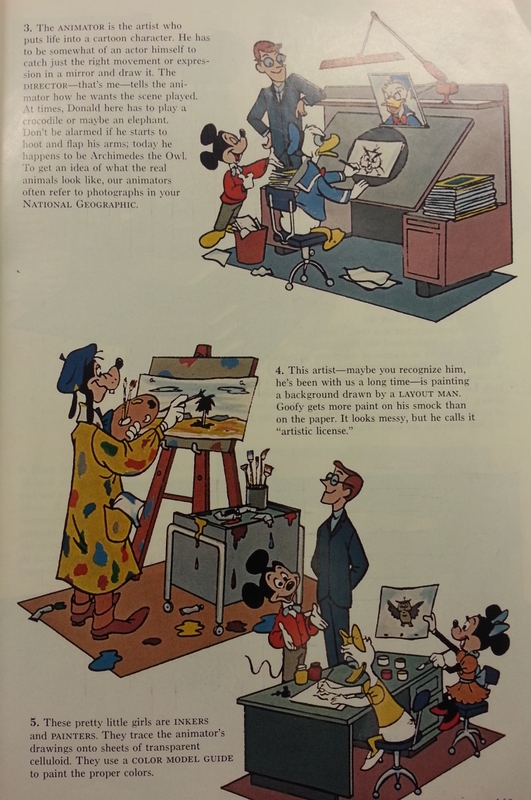 This 40+ page article is filled with pictures and takes us into the movies, theme parks, Worlds Fairs, and pretty much everything on Walt’s mind at the time. As part of this large article there is a section titled “Animation, Mickey Mouse explains the art to Mr. G.O. 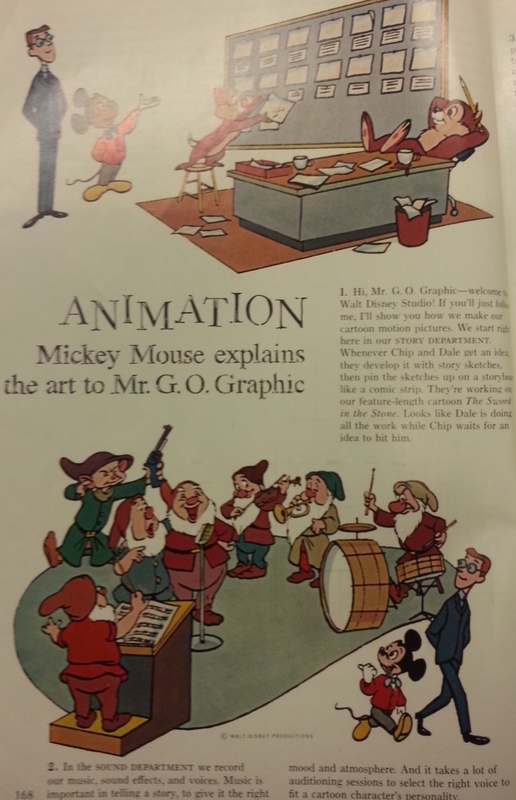 Graphic” which I found fun and interesting as it has Mickey, Donald, Goofy, Chip and Dale and many more Disney friends explain the animation process. When Walt Disney World opened in 1971 Eastern Airlines was “The Official Airline of Walt Disney World”. 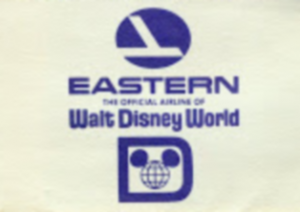 Eastern Airlines sponsored the first attraction I ever experienced at Disney, If You Had Wings. In the days of ride tickets, this ride was free and didn’t require a ticket, thus I can’t even count how many times my sister, brother, and I experienced it. If You Had Wings took you on trip to experience some of the travel destinations in the Caribbean serviced by Eastern Airlines. It even included the infectious song that I’ve included below. In the mid 80’s Eastern Airlines began to have troubles and dropped the sponsorship and lost the tagline as well. Disney renamed the ride “If You Could Fly” and removed all the references to Eastern Airlines. In 1989 “If You Could Fly” closed permanently and Disney gained a new sponsor, Delta. With the sponsorship Delta became “The Official Airline of Walt Disney World” and updated the ride system to become Delta Dreamflight. Dreamflight was the same ride system with new scenery and music. Delta’s dropped their sponsorship and lost the use of the tagline in 1996. This would also be the last company to use the tagline “The Official Airline of Walt Disney World”. Disney reopened the attraction as Disney’s Take Flight, which only lasted a couple years before Buzz Lightyear’s Space Ranger Spin moved in. So today there is no “The Official Airline of Walt Disney World”, but there are a couple airlines that have some relationship. One of these is WestJet in Canada. We will be flying WestJet this summer as we head to Alaska on the Disney Cruise Line. WestJet has one plane with an amazing Disney inspired paint job. Check out the video below of the painting process and finished product. What a magically beautiful plane, would be amazing to see someday. What airline do you use when you travel to Disney? 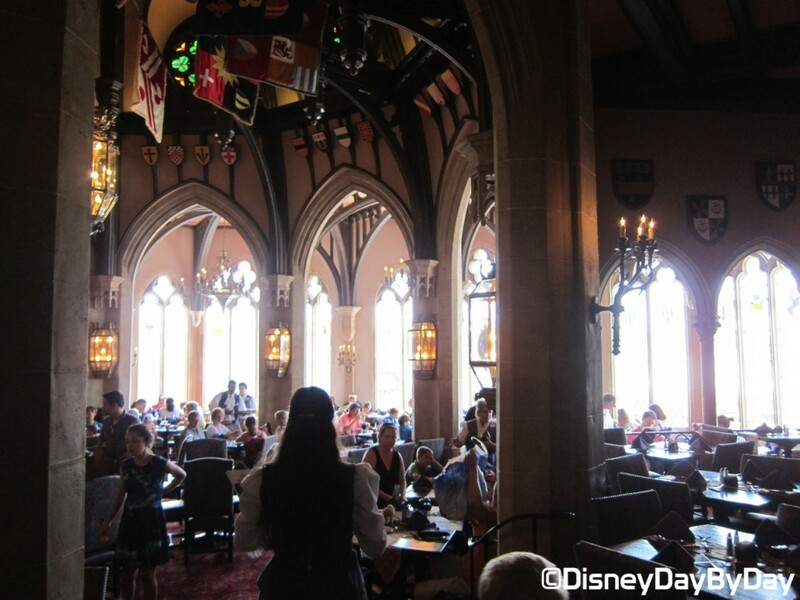 Opening day at Walt Disney World featured a restaurant in Cinderella’s Castle called King Stefan’s Banquet Hall. Yes, I know, what is King Stefan doing in Cinderella’s castle? Many had the same question for many years. Disney Imagineers wanted to give the restaurant a regal name and at the time there was no well known characters from Cinderella, so they chose King Stefan, Sleeping Beauty’s Father. In April of 1997 the restaurant was finally renamed Cinderella’s Royal Table, where young guests are welcomed as princes and princesses and the adults as lords and ladies. All three meals are available at Cinderella’s Royal Table. Breakfast is a character breakfast called “Once Upon a Time”. For all meals you get to meet Cinderella as you wait for your table and her friends while you dine. A picture is taken with Cinderella which is included with your meal and brought to the table as you dine. Before there was a Disney Cruise Line there were cruises on the Seven Seas Lagoon and Bay Lake. 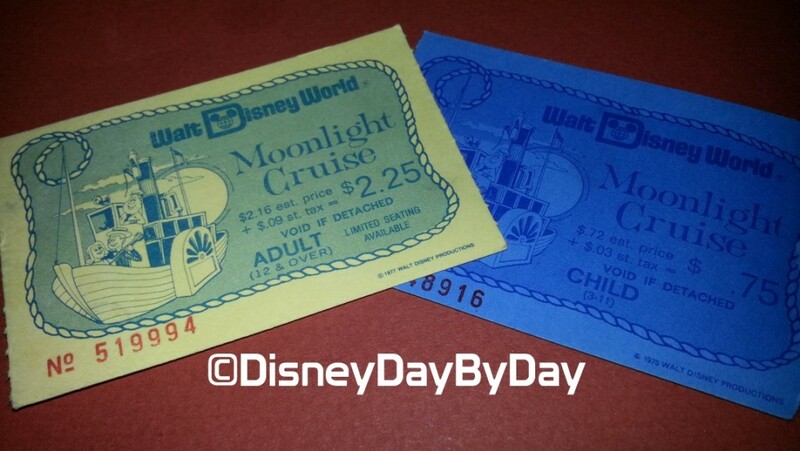 One cruise that was offered was the Moonlight Cruise, below are a couple of our tickets from 1977. Yes that is $2.25 for an Adult and 75 cents for a child (age 3 – 11). The Moonlight Cruise was a one and a half hour cruise aboard a steam powered paddlewheeler on the Seven Seas Lagoon and Bay Lake. The cruise included live entertainment and cocktails. If you timed your cruise right the boat would stop in front of the Magic Kingdom so you could enjoy the fireworks from the boat. “This is a frightening thought. Chevy Chase and Martin Short need your help.” Did you ever help them on The Monster Sound Show at MGM? 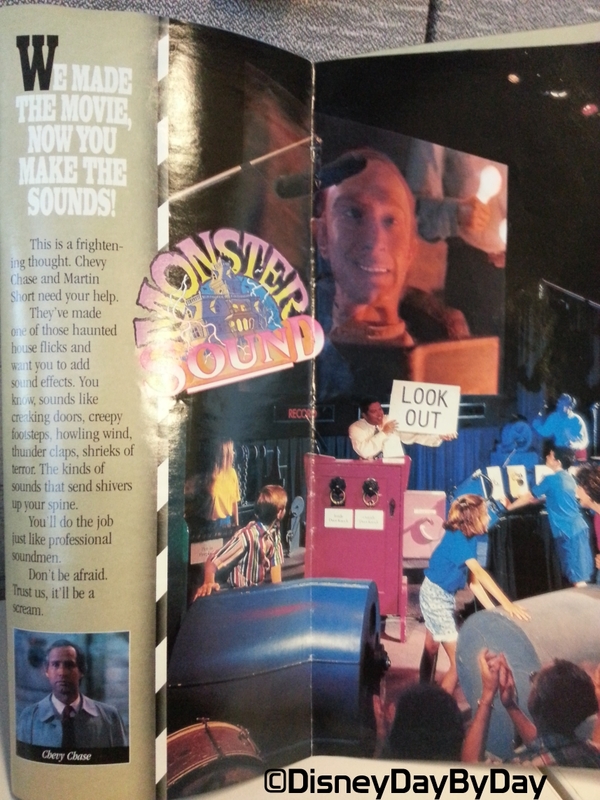 Presented by Sony, the Monster Sound Show at Disney-MGM Studios was an interactive show that allowed members of the audience to join sound actors on stage to reproduce sound effects for movies. During the show, 4 members of the audience were selected (volunteered) to help add the sounds effects for a short comedy film in which a deranged butler (Martin Short) attempted to kill an insurance salesman (Chevy Chase). At the end of the show you would watch the film for a second time, this time with the sound effects that were added by the volunteers, most of them off the mark which provided for some funny moments. 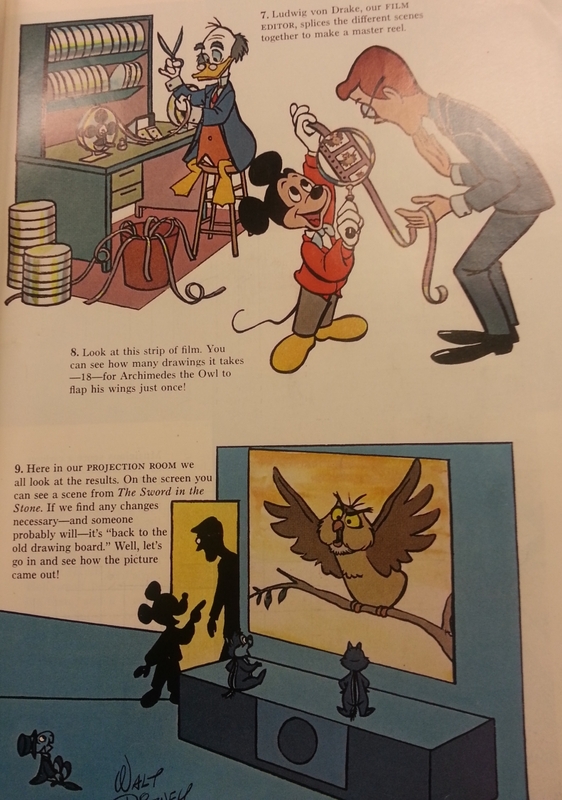 After the show you would head into the Soundworks post show area where everyone had their chance at adding sound to classic movies. This area was The Monster Sound Show from 1989 to 1997. Then became the One Saturday Morning Sound Show for a short time July 1997 to Feb 1999. It was also Sounds Dangerous with Drew Carey from April 1999 to Jan 2009. And today this area is used for Jedi Training Academy Sign Up and also Carbon Freeze Me.